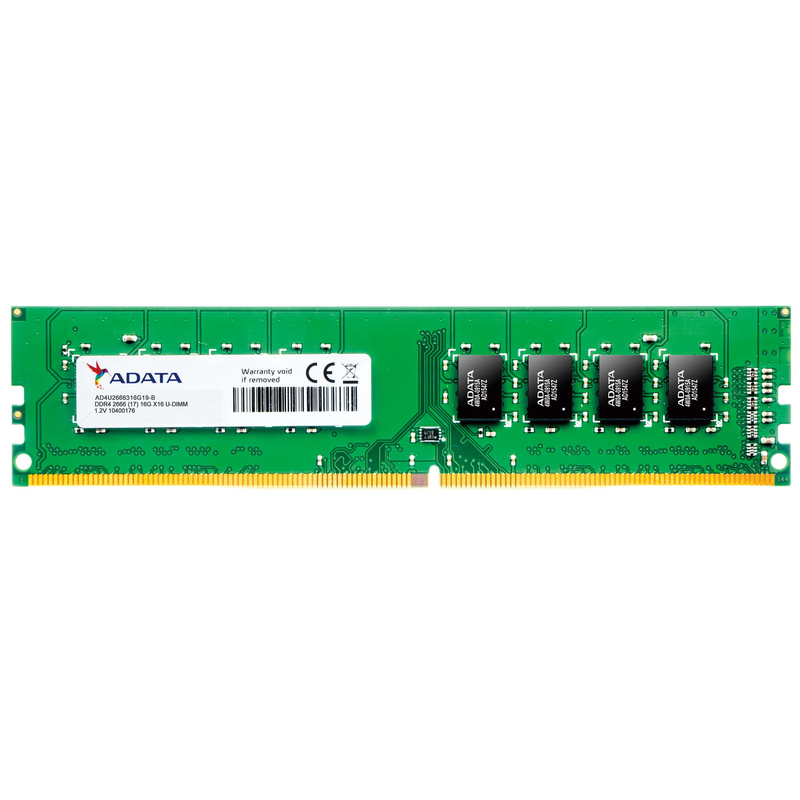 ADATA Premier DDR4 2666 unbuffered-DIMM memory is the latest upgrade solution that supports Intel's newest platforms for faster data transfer and enhanced power efficiency. Utilizing a 288-pin design, operating voltage has been reduced from 1.5V on DDR3 to 1.2V, which not only helps save power by 20%, but also boosts transfer bandwidth speed to 21.3GB/s. Every chip in ADATA memory modules meets strict JEDEC and RoHS standards, ensuring compatibility, stability, and environmentally friendly products.